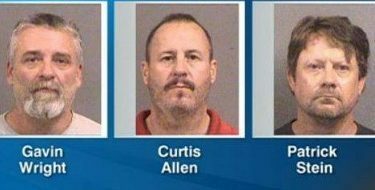 The trial of three men accused of plotting to bomb an apartment complex housing Somali refugees in Garden City is drawing to a close after weeks of testimony. All sides have rested in the federal case against Patrick Stein, Gavin Wright and Curtis Allen on charges of conspiracy to use a weapon of mass destruction and conspiracy against civil rights. Wright also faces a charge of lying to the FBI. The judge dismissed two weapons-related charges against Stein. U.S. District Judge Eric Melgren plans a hearing on Monday to hash out the final jury instructions. Closing arguments are scheduled for Tuesday. The jury trial began March 20. The three men were indicted in October 2016 on charges they planned set off bombs the day after the Presidential election.